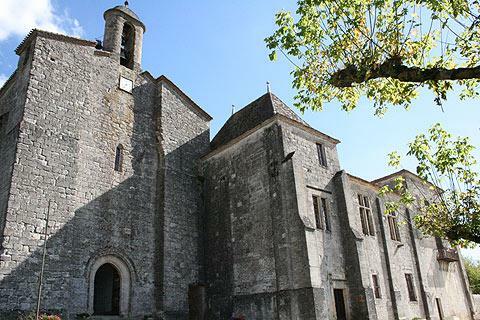 The small pilgrim town of Pellegrue is north-west from Duras, in the north-eastern part of the Gironde department of south-west France. It falls towards the western end of the peaceful Dropt valley. 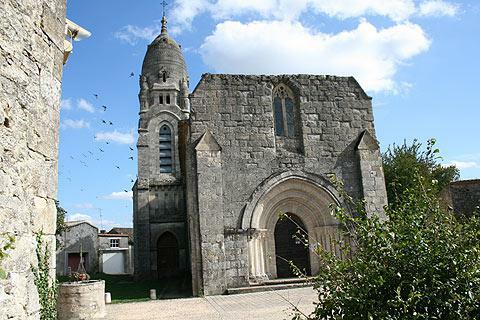 Pellegrue is a bastide town set in the rolling vineyards of the Bordeaux region, and has some interesting historical buildings to discover. 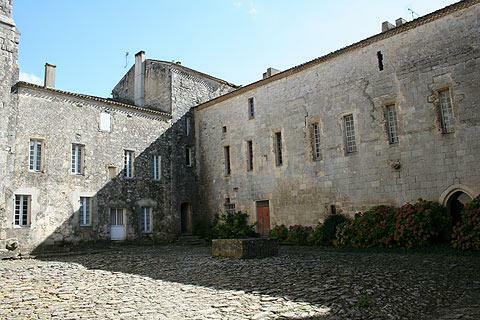 A visit to Pellegrue will usually be combined with a visit to the nearby Saint-Ferme Abbey. Start your visit by strolling around the streets of the old village. 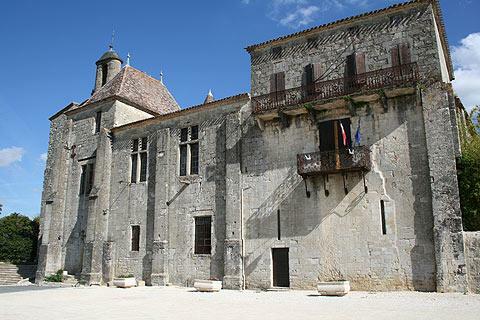 Buildings that will attract your attention include the market hall (constructed in iron to a 19th century design, like the one at Monsegur to the south) and the clock-bell tower on the tourist office building for example. Next head through the quiet village streets and traditional stone houses towards the top of the hill where you can see the church. The Church of Saint Andre in Pellegrue dates in part from the 12th century. The front of the church once had a belfry on top, destroyed in the 19th century then subsequently replaced by a curious belltower to the left (north) of the church. Archaeological work around the church discovered evidence that this area was occupied since at least Roman times, and that various other buildings have stood in this same location, including an earlier church, a priory and a castle. 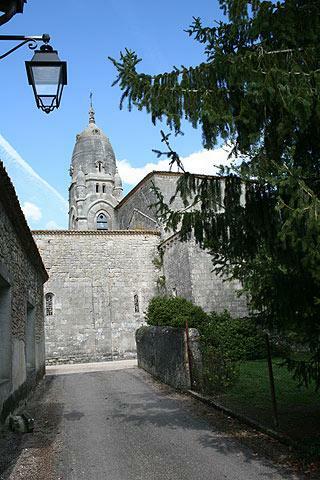 The most attractive and interesting building is found a few kilometres south of Pellegrue (on the road to Monsegur) at the benedictine Abbey of Saint Ferme. In part dating from the 12th century, in roman stryle, and part from a rebuilding following the Wars of Religion (around 1615), the abbey is an imposing structure with interesting carved decorative features. 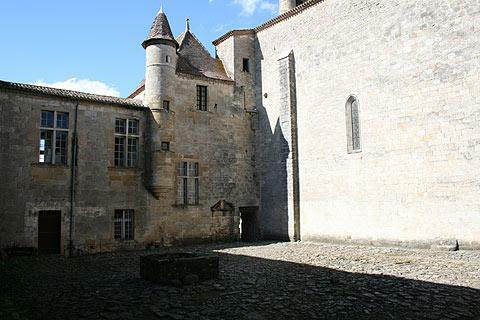 After admiring the carvings inside the abbey take the little passage to the right of the main entrance to see the attractive open courtyard on the right. 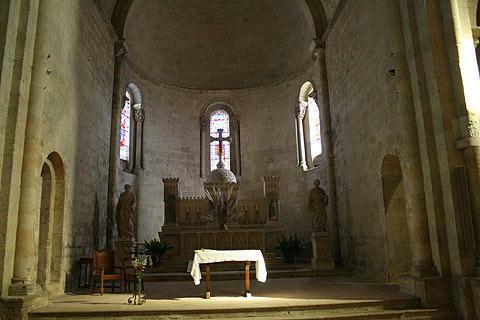 There are several places and villages of interest nearby that you will discover along the Dropt valley nearby, such as the church at Allemans-du-Dropt and the chateau at Duras. An unmissable destination is the delightful town of Saint-Emilion at 25 kilometres north-west of Pellegrue and a UNESCO listed world heritage site.